We offer a complete line of products for virtually every project you have. Fantastic Selection includes measurement and installation. In a hurry or need something right away? 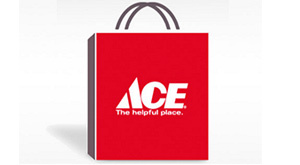 Make a purchase on acehardware.com and pick it up at your local Ace today. We offer a complete line of Benjamin Moore® products for virtually every project you have. Whatever the job demands, we have what you need. Benjamin Moore also offers environmentally friendly paint for interior and exterior projects. Caligari’s Hardware is proud to be a Hunter Douglas dealer. Whether you need privacy blinds or some other solution, we have what you need. Stop in to Caligari’s to sign up for your Ace Rewards card. Earn Rewards every time you shop. When you join you’ll receive 1,000 free points on your first purchase. Caligari’s is Your All-In-One Home Repair & Decorating Needs Hardware Store. In 1898, E. Caligari & Son had its auspicious beginning when Eugene Caligari, newly arrived from Chiavenna, Sondrio, Italy, embarked upon the American dream of owning his own business. © 2019 Caligari Hardware. All Rights Reserved. Site designed by Studio Two.